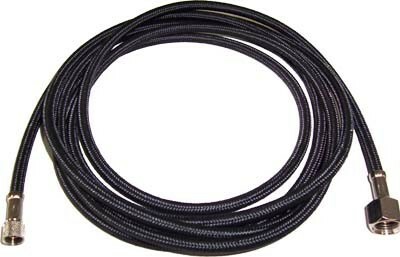 Hose set, straight braided 3mtr, 1/8" x 1/4" female end couplings. For Sparmax, Iwata and Olympus. See adaptors in this category for Badger and Paasche.